June 12, 2018. 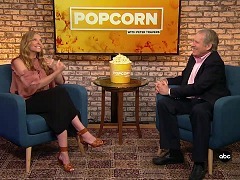 Toni Collette appears on "Popcorn With Peter Travers" and talks about her role in what could be the scariest flick of the year. Excerpt on the documentary on the musical adaptation of "Muriel's Wedding" in Sydney, featuring interviews with Toni Collette and Rachel Griffith. August 11, 2015. Preview of Toni Collette's episode of "Who Do You Think You Are? ", in which she uncovers her family's heritage in Who Do You Think You Are. September 09, 2012. A profile on Toni Collette's life and career with a spotlight on "Mental" and an exclusive interview with Toni Collette. March 14, 2009. 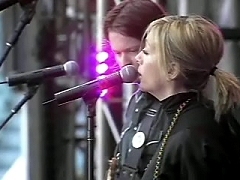 Toni Collette introduces the Princes of Wales, William and Harry, at the 2009 Sound Relief concert. E! Entertainment special, featuring interviews with Toni Collette and Dominic West on the set of Diana and Me. Documentary on the "the Poetic Return of Pablo Neruda", including a segment of Toni Collette reading his poetry.